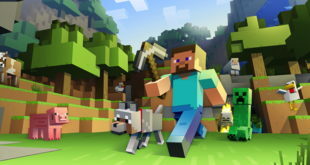 Fans can watch cartoons using existing apps, which have topped 1.7 billion downloads. Angry Birds Toons, the 52-episode cartoon series based on the popular app brand, launched on the weekend (March 16th and 17th). 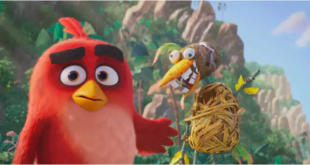 Rovio Entertainment said it’s set an industry first with the weekly animated show, by launching a video distribution channel across all of its Angry Birds game titles on smartphones and tablets. A dedicated channel has gone live in Rovio’s app games, as well as on select video-on-demand channel providers, Smart TVs and connected devices. An Angry Birds Toons channel will be available on all of Comcast’s video platforms in the US including Xfinity on Demand, online and the Xfinity TV Player app. Samsung Smart TV and Roku box owners can watch the show, too. The Angry Birds Toons series will also air on select TV networks around the world: FOX8 in Australia, JEI TV in Korea, ANTV in Indonesia, Cartoon Network in India, MTV3 Juniori and MTV3 in Finland, the Children’s Channel in Israel, 1+1 networks in Ukraine, Gulli and Canal J in France, Super RTL in Germany, TV2 in Norway, Canal 13 in Chile and Gloob in Brazil. 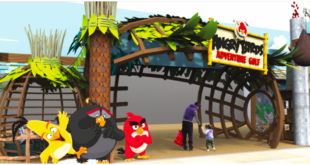 “We’ve long wanted to tell our fans the story of the Angry Birds and the Bad Piggies, to introduce their personalities and their world in detail,” said Mikael Hed, CEO of Rovio. “We’re delighted to introduce all this through our new channel, with easy and instant access to the stories in the palm of your hand. With over 1.7 billion downloads, we can reach a far wider and more engaged global audience than traditional distribution would allow. "Launching the channel, and partnering up with some of the best video-on-demand providers and TV networks, is an important milestone for us on our journey towards becoming a fully fledged entertainment powerhouse. To watch the series through Rovio’s Angry Birds Toons channel, fans can download the latest update to any Angry Birds game, which will unlock the new channel button in the game homescreen. 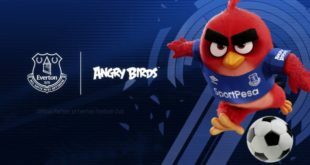 In addition, Activision, Paramount Pictures, BlackBerry, and Sony Pictures are partnering with Rovio for the launch of the Angry Birds Toons channel.